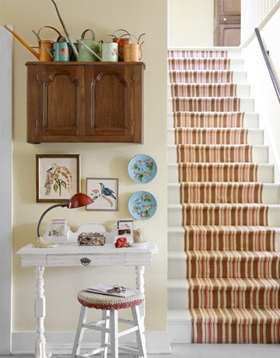 How can anyone not love striped carpet on stairs? I think stripes look amazing and when it comes to carpeting stairs, what else would look so good? 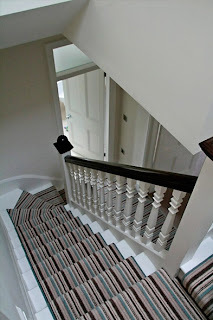 When looking for a carpet for our staircase and landing area, we simply found loads we loved, but none we could afford. 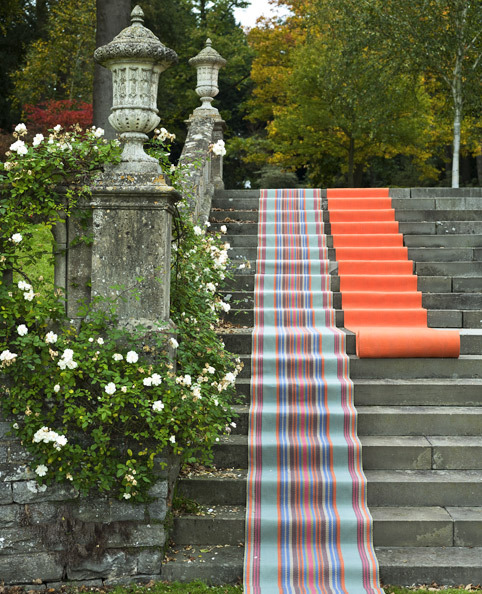 We had one quote for a divine hand-woven striped stair runner priced at just over four thousand pounds —yes I said £4000 for around 14 steps! 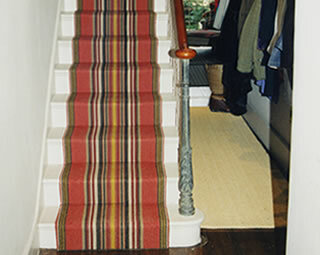 Until this point I had convinced my boyfriend stripes was the only way forward and he seemed to really like the idea. When I told him about the quote, he went wobbly at the knees and nearly fell over, which was strange considering he was sitting at the time. We just couldn't find a nice, affordable striped carpet and I honestly spent hours a day over six weeks browsing the internet. I was definitely close to giving up. 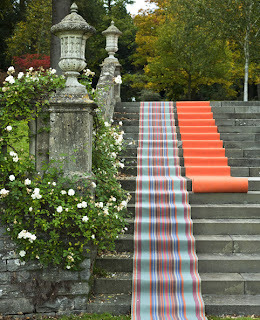 Then, while driving one day, I noticed a small independent carpet shop not too far from our house. My first thought was, ‘We should look in there’. My boyfriend sure enough rejected the idea of going in this shop on the basis it looked cheap and tacky. In fairness to him, it really did. 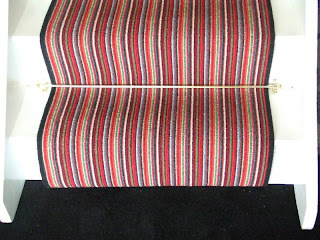 We were browsing around the shop when I spotted it; it was a large roll of striped carpet. My heart started pumping in my chest so loudly I could hear it. With great anticipation and excitement we glided over to it. We loved it instantly and from the price listed per square foot, we just knew we could afford it. We practically ran to the counter like two puppies, full of excitement. 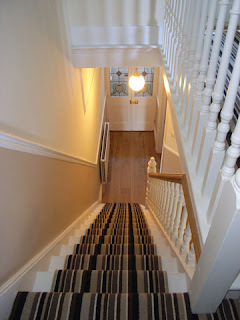 Within 30 minutes, we were at home measuring the stairs and hallway upstairs. Figures in hand I called the shop, gave the measurements and stood looking at the bare stairs waiting in anticipation as he completed the quotation. This was probably done in around 40 seconds, but it felt more like 40 minutes. Then he said it: "That will be £225, plus fitting..." I fainted. 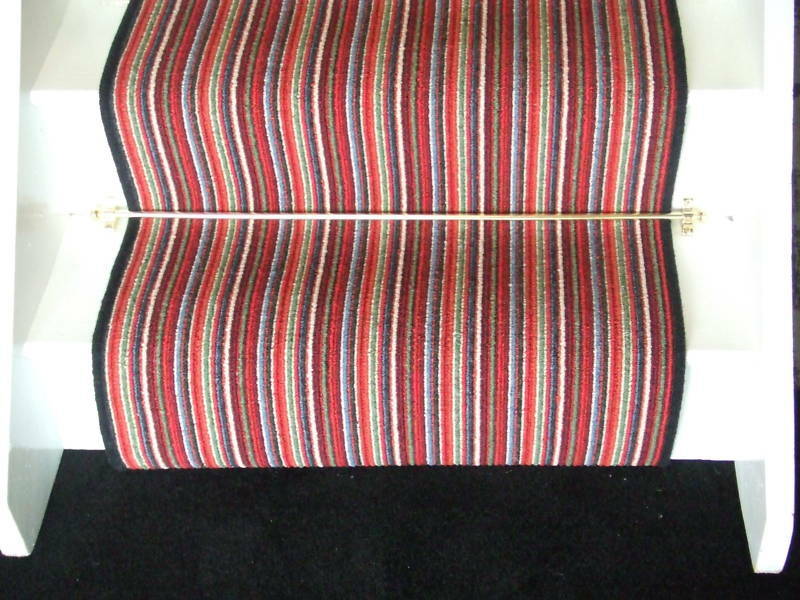 We had the carpet fitted one week later and a year on, we still love it every bit as much as we did then. One other thing to note: We get endless compliments about it, but weirdly enough mainly from the tradesmen who have completed work at the house. They love it. 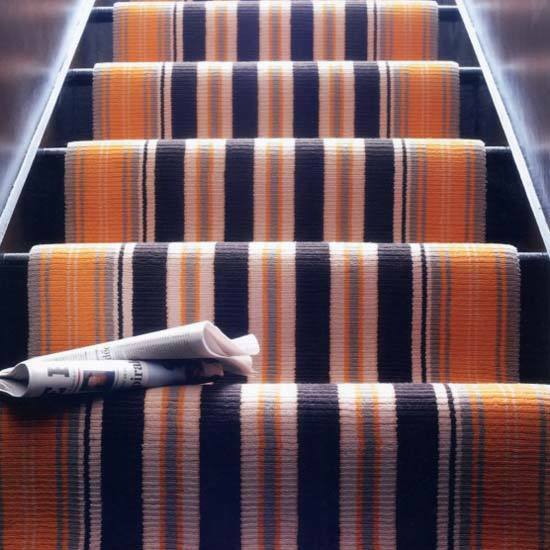 Most of them walk in and say (in a south-east London accent), “r like yaw carpet, that a Paul Smith number?” Yes most tradesmen seem to think it looks like designer Paul Smith's famous striped pattern. I learnt two lessons from this experience: Firstly, never give up on the things you want; secondly never judge a book by its cover — or in this story a carpet by its shop front. It most certainly is acceptable. Especially if it is a long straight hallway. Go for it!